Whether you're considering siding replacement to boost curb appeal, improve energy-efficiency or simply perform general maintenance, let the experts at Equality Painting help pair your needs with the best siding products on the market. As a home remodeling project that can be motivated by so many factors, no two siding replacements are the same -- and neither are the homeowners living inside. You may be focused on cost, required maintenance, visual appearance or durability to name a few, and we'd like to be the team to help guide you through these important decisions. 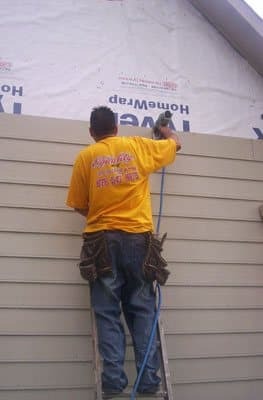 The team at Equality Painting takes the responsibility of working on any part of your home very seriously, but because of our background in the industry, exterior renovations are near and dear to our hearts. We strive to make this often intimidating process as easy and comfortable as possible, and take pride that our experienced and caring professionals can anticipate your concerns and provide a safe, organized and efficient workplace around your home. The team at Equality Painting couldn't be prouder to call James Hardie a partner, as their fiber-cement siding products continue to set the bar of standards across the siding replacement industry. Now with three distinct product lines, James Hardie offers something to suit any need and all tastes, including primed, pre-painted and their latest, Artisan luxury line - all with their own advantages. With each, homeowners enjoy the beauty and character of wood coupled with resistance to weather, insects and flame spread. Additionally, James Hardie products come with an attractive 30-year non-prorated, transferable, limited warranty. CertainTeed has been in business for more than 100 years and is the acknowledged leader in vinyl and polymer siding, setting the standard for this time-tested product. They take seriously their commitment to continue to provide innovative, quality products from a company of proven trust, and the team at Equality Painting is proud to endorse their products for your siding replacement needs. Our support has certainly been earned, as year after year CertainTeed siding products are Rated #1 in Brand Use by remodelers, builders, architects and consumers. They provide an industry-leading spectrum of colors with a lifetime fade protection warranty, giving peace of mind to all homeowners considering vinyl siding replacement. Additionally, CertainTeed is an active member of the U.S. Green Building Council and the National Association of Home Builders, so when you choose CertainTeed products for your siding replacement project, you can be confident your choice will extend positively into the future.